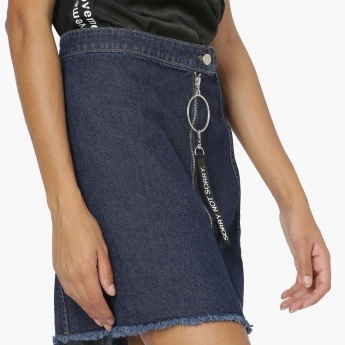 Embrace an edgy chic appeal with this skirt from MAX. Show off the tape trend with tonal tops and sneakers. Model Wears : Size 28, has Height 5.6", Chest 33". ", and Waist 24"